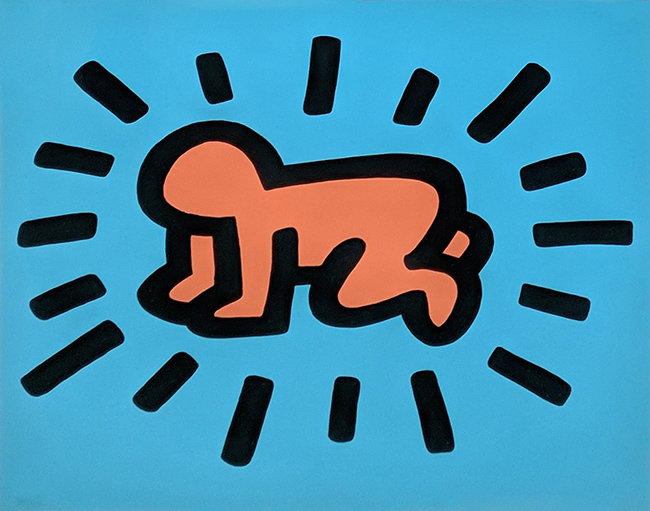 Description: Radiant Baby from the Icons series. Screenprint in colors. Stamped with the artist's estate stamp on the reverse; signed, dated and numbered by the executor, Julia Gruen, in pencil on the reverse. Published by Tony Shafrazi Editions. Printed by Studio Heinrici, LTD. NYC. Framed size approx 27.5 x 31.5 inches. Artwork is in excellent condition. Certificate of authenticity included.